There’s a golden rule in sales: the easier the payment process is, the higher the probability the customer will buy the product. In this article we’ll discuss three most popular payment gateways and show an example of integrating Braintree in an ecommerce Android and iOS mobile solutions. 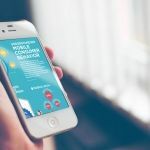 In-app purchases have already become a standard for any m-commerce or ecommerce application, and clients expect it from a high-quality application with top-notch service. Several big companies like PayPal have set this trend when they found this easy way to help transfer money in exchange to any possible products or services. This trend doesn’t seem to go anywhere soon — it is only going to grow and evolve. Now there is a wide choice of payment processors of which you can choose from: they have different audience, rules, fees and conditions. In this article, we’ll tell you how to accept payments in a mobile app quickly and easily by integrating a payment gateway. If you don’t know, how to choose a right payment processor for your business, try to compare all the processors by their basic parameters like user interface, coverage, fees and supported currencies. Another important thing about any payment processor is, of course, security. The processor you will eventually choose has to take it seriously. But first, let’s look briefly at how different payment gateways work. Braintree is suitable for m-commerce businesses of all sizes, from small companies to big corporations. Recently, Braintree has become even more progressive and popular than PayPal, which owns it. It’s also extremely flexible. The Braintree SDK lets you use a lot of popular payment methods: credit and debit cards, PayPal, Apple Pay, Venmo, Android pay, and even Coinbase with bitcoins! In short, it’s one of the easiest ways to pay for anything in an app, across any device. Many famous apps are already using Braintree’s libraries. Uber, Dropbox, Airbnb, Stubhub, American Airlines – all of these companies have entrusted Braintree with their online payments. Braintree’s rates are 2.9% of each transaction + $0.30 per transaction. Braintree supports sandbox mode as well, so you can test your integration with test values for payment method nonces, card numbers, transaction amounts, and more. Along with Braintree, Stripe is one of the most popular mobile payment processors. 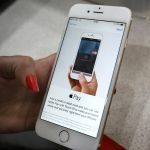 It allows to perform payments in social media, supports Apple Pay and Android Pay, and also reports monthly on all payment activity. In addition to that, Stripe is very customizable: if you want to make a unique form for payments, you can do it in Stripe: pick your mcommerce shop colors and make the design complimentary to your app’s. Stripe accepts over 100 currencies and supports lots of libraries — iOS, Andriod, Ruby, PHP and others. Stripe’s rates are 2.9% + 30 cents for each successful charge. There are no monthly and setup fees, and the currency conversion fee is 2%. PayPal is the most widespread payment processor as it was the first one. PayPal made a revolution in online payments and has set a standard for other payment processors. However, nowadays some online retailers start to decline it in favour of Braintree or Stripe. However, PayPal is still extremely popular: 79% of US users have it. PayPal offers split payments, allows to host your own checkout page and supports over 23 currencies in 203 countries. 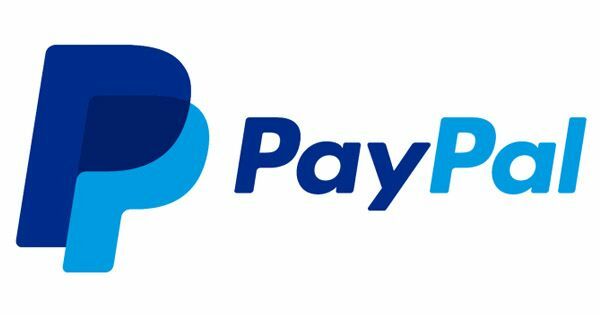 PayPal charges 2.9% + 30 cents for each successful payment. In case you process over $30,000 per month, the fee is lower. If you choose a Pro package, you’ll need to pay $30 per month, otherwise, it’s free. The currency conversion fee is different for every location: it can vary from 0.4% to 3.3%. Now that you know more about payment gateways, let’s find out how to integrate one of them into your mobile apps. We’ll start with iOS. Here’s a tutorial on integrating Braintree into an iOS application (based on our experience). Get a checkout for PayPal and credit card payments by adding the Drop-in UI. It will take you only a few lines of code. If you roll your own checkout UI, you can use credit card tokenization and thus save your customer’s card info. 1. First, you need to add the BraintreeDropIn pod to your podfile. let clientTokenURL = NSURL(string: "https://your-server.com/client_token")! // As an example, you may wish to present Drop-in at this point. 3. You should obtain a new client token at least as often as your app launches. For the best experience, you should kick off this network operation before it blocks a user interaction. let paymentURL = URL(string: "https://your-server.example.com/payment-methods")! 7. Real payment method data will not work in the sandbox; you need to use Braintree test card numbers and nonces. 8. When you go live, you’ll need to replace the sandbox API credentials with production credentials. There you go! Now you’ll be able to integrate a payment system in your iOS application. Need Help with Your Current Project? Now let’s find out how to integrate a payment gateway in an Android mobile app. 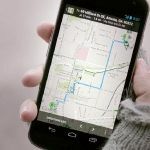 This tutorial will help you integrate Braintree into your Android application. Braintree provides SDK v2 for Android devices. To establish and authorize connection with Braintree’s servers you will need to get a client token. To initialize the client SDK, you will need configuration and authorization details. They are placed inside the client token, that your server generates. Each time your app launches, you need to obtain a new client token. For the best result, this operation should go before a user interaction is blocked. A tokenization key is another way to authorize a client with the help of Braintree’s SDK. This value is lightweight and reusable. On the other hand, its privileges are reduced, and it is static. Unlike the case with client token, tokenization key doesn’t need to be generated again and again after each session. Any configuration is suitable for a tokenization key — there is no need to specify customer’s ID and set a specific merchant ID. Such payment methods like credit cards, PayPal, Android and Apple Pay as well as Venmo can be tokenized with the help of tokenization key. The following payment methods can be tokenized using a tokenization key: credit cards, PayPal, Venmo, Apple Pay, and Android Pay. You can’t use a tokenization key to create a 3D Secure transaction. You can obtain a tokenization key in the Braintree Control Panel (separately for production and sandbox modes). Tokenization keys are specific to the environment in which they will be used. Tokenization keys are only compatible with Android SDK v2 or higher. Avoid shipping an app with a sandbox tokenization key. Customer payment data can’t be saved directly to the Vault using a tokenization key. To save a payment method, you’ll need to pass the resulting payment method nonce to your server. Otherwise, you can generate a client token with a customer ID. The easiest way to collect customer payment information via the client SDK is with the Drop-in UI component. It provides a fully fledged payment experience out of the box. You can also choose to create a custom UI and then tokenize the payment information directly. After you added this code, the bottom layout will appear and the user will be able to enter or select payment information. // There is an issue with the credit card. // There is an issue with the expiration month. When testing in the sandbox, be sure to use the test card numbers (e.g. 4111111111111111) and nonces (e.g. fake-valid-nonce) that Braintree provides. Real payment data will not work in the sandbox. The postNonceToServer() method from our previous example should send the resulting payment method nonce to your server. At this point, you should have a working client-side checkout flow. When a user provides payment information, you should receive a payment method nonce and send it to your server. Then, your server should close the loop by using the payment method nonce to create a transaction. We have taken integration with Braintree as the example, but in fact, you can choose from any payment processor. Don’t forget to consider all the conditions and make sure they meet the best interest of your customer as well as your own. If you have a hard time trying to find your perfect payment gateway, consider the basic parameters that define the convenience of a payment processor. At Mobindustry, we specialize in ecommerce and m-commerce mobile application development. If you have any questions, don’t hesitate to contact us for more information. 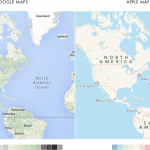 How to integrate Google maps and Apple maps in iOS?